Mount Royal recognizes each student’s dignity as a child of God, uniquely created with their own strengths, weaknesses and “calling”. Our curriculum is classical in that we appreciate the developmental stages of our students and use that understanding when making important curriculum decisions. In the elementary years the focus is on developing a strong foundation in phonics, reading comprehension, writing, spelling, penmanship, grammar, composition, math concepts and math facts. We believe it is important for our students to learn about our world through religion, science and history and have a strong foundation in the arts. In the High School, students study in this “classical” approach by reading challenging “Great Books”; analyzing the authors’ worldviews and the books’ themes and supporting details; evaluating their transcendent truths, measuring them in light of errors, comparing them with Natural Law, the Church’s teachings and Scripture; and relating these truths to the students’ real life experiences. This in-depth study, illuminated by our Catholic faith, makes Mount Royal’s academics unique in many ways. The High School offers college-preparatory math, science, literature, history and Latin; as well as, theology, art, choir, and physical education. Mount Royal Academy’s Catholic faith is central in our educational philosophy. As stated in our mission we are called to inspire students to grow in their knowledge of and love for God, which will enable them to love and serve those around them. To accomplish this mission we look to Jesus Christ, our Redeemer, as both our model and our means. We also acknowledge the vital witness of our parents, teachers, administrators, board of directors, and priests as they reveal the Christian message, not only by word, but also by their example. We understand that the teaching of our Catholic faith is not limited to religious instruction in the classroom or during liturgical celebrations throughout the year but through modeling Christianity as a comprehensive way of life. It should animate our attitudes and be integrated into all our activities as we strive to create an environment in which students’ faith and virtue will gradually mature. Mount Royal Academy is strongly opposed to Common Core in public and parochial education. As a private school, we are not obligated to adopt the standards proposed by federal and state policy makers. The Common Core is irreconcilable with the noble vision and truly dignifying heritage of classical education. Instead, MRA embraces the renewal of the mind, the will, and the imagination which emanates from our catholic identity. Our core is uncommon, for it rests on the uniqueness of Jesus Christ, true God and true man. 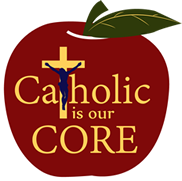 The Catholic is our Core initiative developed by the Cardinal New Society captures the transcendent and transformational objectives of an authentically catholic, classical education. Mount Royal Academy aspires to the educational standards developed by the Cardinal Newman Society. The Cardinal Newman Society offers these Catholic Curriculum Standards as a resource for educators to help keep focus on what is unique about Catholic elementary and secondary education: its evangelizing mission to integrally form students in Christ and transmit a Christian worldview. The standards cover English language arts, math, scientific topics, and history, focusing on unique Catholic insights into these curricular areas and complementing the Church’s standards for religious instruction. They are broadly grouped into two grade levels, K-6 and 7-12. They express student levels of learning, inviting educators to assign or develop materials and choose subject matter that serve the unique mission of Catholic education. We built the standards on the solid foundation of Church documents, the educational philosophies of faithful Newman Guide colleges, and many writings on Catholic, liberal arts, and classical education. We consulted with many leading Catholic scholars, school leaders, and standards experts to ensure the highest quality resource.